Air freight being defined as the medium for transporting goods via air crafts between countries, is one of the quickest modes of transport which is mainly used for goods of more sensitivity and value. The transit time is often the shortest among other modes of transport in the logistics field. Although it might not be the most cost-effective option of moving goods, but there are situations when a trader would better off to choose the air freight mode in terms of timely reaching the destination market. 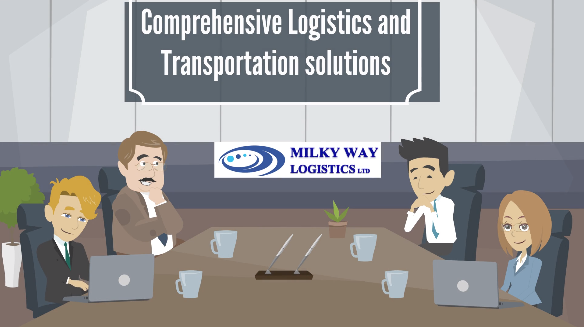 Milky Way Logistics of London provides professional freight solutions for shipments from UK to Worldwide destinations. Our Air cargo services covers all size of export from UK to Worldwide destinations including Qatar. This would mainly be from London Heathrow or Manchester airport to almost all major airports in the World. We work with major airlines who cover UK airports and there are daily flights for many destinations and to Qatar as well. There are services for both small shipments and large ones. If a shipment’s height is of up to 160 cm it could easily be shipped on a passenger flight however we always check the destination as there might me terms and conditions for different airlines or different destinations. If the height of a shipment is above 160 cm then the available option of air freight would be by cargo air crafts. The acceptable goods include commercial, personal, food, dangerous goods, cars, equipment’s, etc. For any DG shipments, providing an MSDS would be a requirement. The packaging for goods being shipped by air freight mode must meet the requirement of the airlines. For any enquires for air freight from UK to Qatar and other Worldwide destinations whether it is for an import or export; please contact Milky Way Logistics at enquiries@mwll.co.uk and our expert team will help you through the whole process.